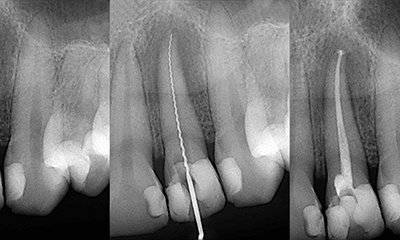 Root canal therapy (also referred to as endodontic treatment) occurs when our doctors clean infected pulp and nerves from the root canals of the tooth in order to rescue it from extraction. This procedure is often considered to be uncomfortable because patients are struggling with a great deal of pain already – that’s why we utilize rotary endodontics here in Wethersfield! The modern electrical handpiece speeds up the process greatly and results in simpler and more precise results, which is good news for patients and our team members alike! Please give Dolan Dental a call today if you’d like to schedule your first appointment.